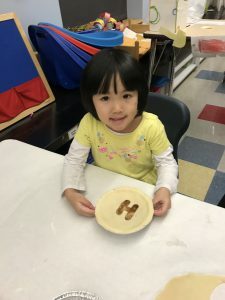 While in many ways it feels that the school year has just begun, we are in the beginning stages of welcoming our preschool and kindergarten classes for September 2019! Mark your calendars and join us for a preschool information evening on January 10, 2019 at 6:30pm. This is guaranteed to be an informative evening as preschool staff and administrators outline the similarities and differences in the programs offered as well as answer any questions families may have. 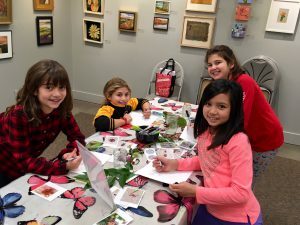 Milton Public Schools has a variety of programs for those children who will turn three or four on or before August 31, 2019. Then on January 24th 2019 at 6:30 pm, we hope to see many kindergarten parents and guardians at Kindergarten Information Night. As we prepare to welcome our new kindergarteners next September, the first step for families is to pre-register your new student. Preregistration will be live on our website on Monday, December 3rd. Please note that your child must be five years old on or before August 31, 2019 to start kindergarten in September 2019. The information sessions will take place in the Charles Winchester Auditorium located at Milton High School, 25 Gile Rd. Please email Marti O’Keefe McKenna, Family Outreach Liaison, or call Ms. McKenna at 617- 980- 7343 if you have questions about preschool. Please email Laurie Dunn with questions about kindergarten. We look forward to seeing you in January! On behalf of the Milton Public Schools, I wish all who celebrate a very Happy Hanukkah. Hanukkah begins in the evening of Sunday, December 2nd and continues through Monday 10th. At last nights School Committee meeting, MPS Director of Data and Analytics Vy Vu presented the 2017-18 MCAS & Assessment Presentation to the committee. You can view the presentation here. You can also find detailed MCAS information in our September 2018 MCAS communication to families and in the full DESE report. School Committee meetings can be viewed On Demand in their entirety, at your convenience, on Milton Access TV. 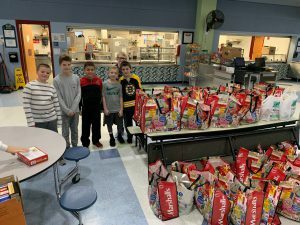 For many years, the Milton Public Schools has partnered with the Milton Residents Fund to ensure that any MPS families in need would be supported with gifts and gift cards during the holiday season. 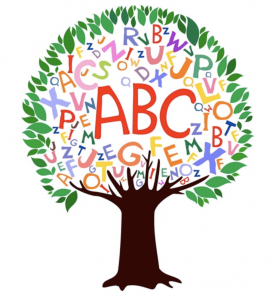 You may know this program as Snowball or the Giving Tree or a similar name. 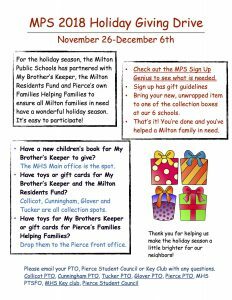 This year, we are partnering with the Milton Residents Fund, My Brother’s Keeper and Pierce’s Families Helping Families in a district wide Holiday Giving Drive with the goal of supporting our Milton neighbors and friends who may need some assistance this holiday season. Details can also be found on the Sign Up Genius. Gifts, books and gift cards are all being collected and may be dropped at the 6 schools. Details of school collections and what is being collected at each school can be found here. Our PTOs and student organizations at the middle and high school level are supporting and coordinating this effort. Pass us your soccer uniforms and we’ll pass them on to children all over the world! Drop off your used soccer uniforms and equipment in collection bins located in the lobbies of the Collicot, Cunningham, Glover, Tucker and Pierce schools and at 34 Cliff road. Any donations of CLEAN T-Shirts, shorts, socks, shin guards, cleats, and deflated balls and pumps will be gratefully accepted. Note that uniforms from other sports will a lso be gratefully accepted. Collection dates are November 26- December 21 and we thank you for your support! 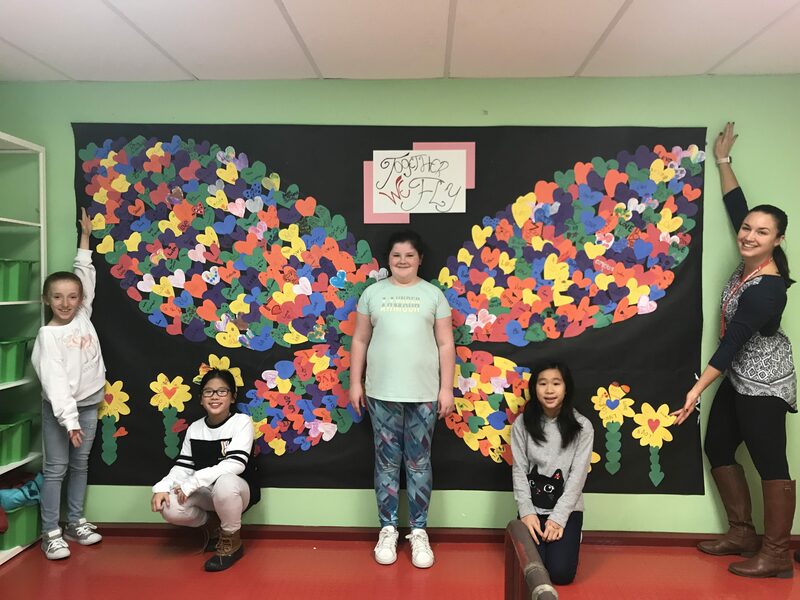 For more information, please call Madame Brown at 617-696-8125. 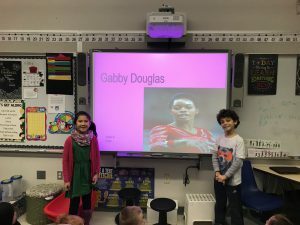 This project is supported by the Milton Public Schools and Milton Soccer. In this season of giving, I am happy to share these images from some recent MPS giving efforts. 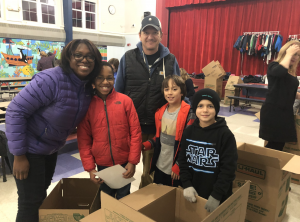 5th grade helpers are essential to the MPS Food Drive. Thank you to the many parents and guardians who helped with the MPS Food Drive. Packing Thanksgiving baskets for the Milton Food Pantry. 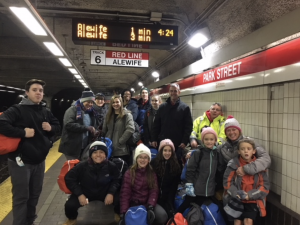 Pierce staff delivers backpacks full of essentials to homeless men and women in Boston. Last week, 11 of our MHS students from SADD (Students Against Destructive Decisions) travelled to Gillette Stadium for Norfolk DA Michael Morrissey’s annual TEAM RIVAL Conference. The Milton SADD students were awarded a check for $1500 for last years work and their dedication and commitment to making smart choices and saving lives! Team Rival is a challenge between rival schools with students competing in 4 different areas for points. We are proud of these students who work to help classmates make positive choices throughout high school. 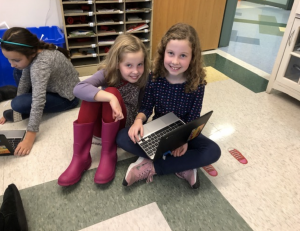 In their Troop to Troop project, MHS students Katharine and Grace Baker are working to coordinate local Girl Scout troops in the annual collection and delivery of supplies requested by US military service men and women serving overseas. Items such as hats, socks, blankets, insect repellent, sunblock and more are requested by our overseas troops. Grace and Katherine are currently working with a 22-year-old Navy gunner’s mate from Quincy named John Ross McEvilly who is currently deployed on the USS Rushmore, stationed in Bahrain. 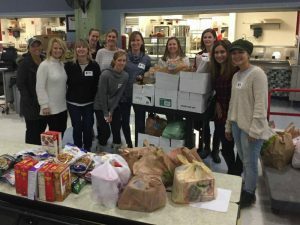 The Girl Scout troops have donation boxes at Ulin Rink, Pierce Middle School, the Starbucks in East Milton Square, Milton Public Library and Ginger Betty’s and they welcome your support and donations through December 7th. You can read more details of their initiative here. Save the date for the upcoming MHS guidance event, College Information/Post Secondary Planning night at Milton High on Thursday, Dec 6th at 6pm. The following topics will be presented in order to help you and your child successfully navigate the college application process: Financial Aid, Standardized Testing, Supporting your senior throughout the year, NCAA Requirements, Overview of the College Application Process, and Naviance. We look forward to seeing you Wednesday, Dec 6th at 6pm. This workshop is open to all parents/guardians & students in any grade level. 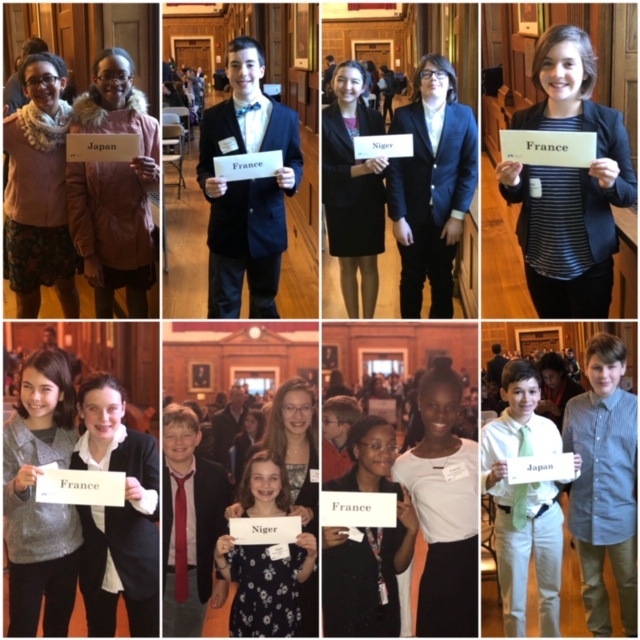 On Saturday, 22 Pierce students participated in the UNAGB‘s Middle School Model UN conference in Boston. This is the largest middle school conference in the region and over 600 students from across the state participated. Pierce students represented delegations from all around the world: Niger (Africa) France (Europe) and Japan (Asia). 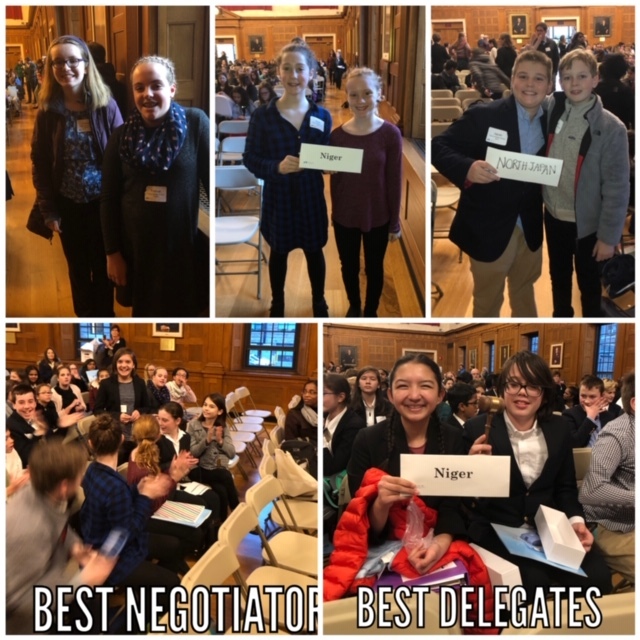 Iris Trafton (8th grade) was awarded the title of Best Negotiator for her performance as a solo delegate in the Security Council. Hoku Panerio-Langer (8th grade) and David Russell (7th grade) were awarded the highest honor of Best Delegation for their representation of Niger. It was an awesome day where students collaborated, learned and shared, and embraced the spirit of the diplomacy and problem-solving of the real United Nations. 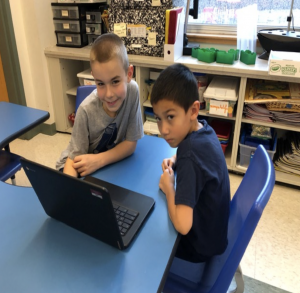 Congratulations to all of Mrs. Magill’s students who showed perseverance and stuck with the coding competition over the 10 days in November! 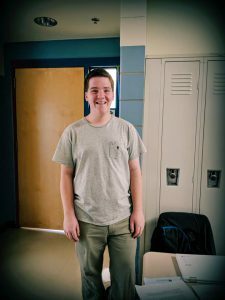 Particular congratulations go to Jack McAnulla who completed all 20 Qualifier Missions, Julia Magnum and Alexa Adams who both completed 14, Michael Sullivan, James Troiano, Conor Walsh, Casey Olsen, and Eric Ma who all completed 12, Rogan Pater and Ryan Fulton who completed 11, and Ben Caledonia and Henry Fallon who completed 10. With our top scores, we have been invited to attend the live finals at the University of New Hampshire! We have been given 4 spots which will be filled by Jack McAnulla, Julia Mangum, Alexa Adams, and Conor Walsh. 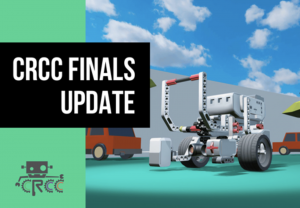 Continue to wish us luck at the competition on Saturday, December 15th. All are welcome to attend to cheer us on. They are taking flight on Edgehill Rd! 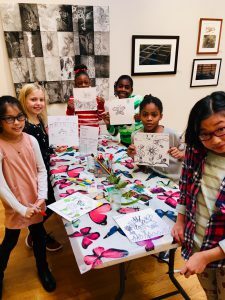 Tucker 5th grade ACE students and Ms. Sweeney’s third grade class had the exciting opportunity to participate in the South Shore Arts Centers’ Artist in Residence (AIR) program. For 15 years, the AIR program at SSAC has provided free educational outreach for thousands of students. 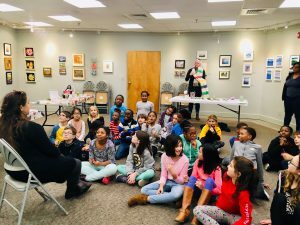 Students visited with Marcia Ballou, a master painter and collage artist. Marcia’s artwork is an explosion of color depicting natural habitats densely filled with flora, insects, and animals. 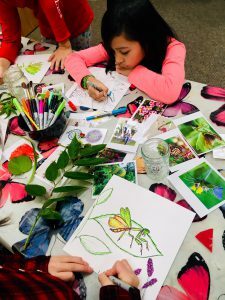 During the field trip students were exposed to interdisciplinary educational methods that help build critical thinking skills, STEAM, and visual art learning objectives. 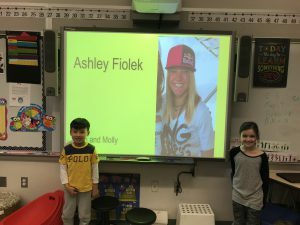 Our other Tucker 3rd graders will visit in the coming weeks! 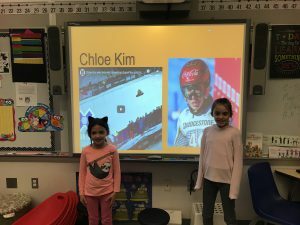 Collicot teachers Mme Kramer, Mme Theobald and Mme Nguyen collaborated on a Digital Album chromebook project with their students. 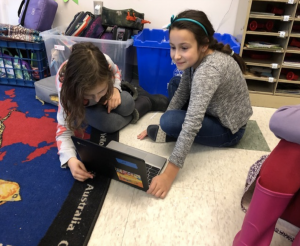 4th grade students visited 2nd grade students and worked diligently on creating their project. Our sibling pairs in these grades especially enjoyed the collaboration. The Milton Public Schools invites you to an important presentation by the American Foundation for Suicide Prevention: TALK SAVES LIVES on December 5, at 7pm in the MHS Library. Suicide can be prevented. The Talk Saves Lives presentation will cover what we know about this leading cause of death, the most up-to-date research on prevention, and what we can all do to fight suicide. Participants will learn the common risk factors for suicide, how to spot the warning signs in others, and how to keep ourselves, our loved ones and those in our community safe. Please join us at this important presentation. Volunteer Help Wanted! There is a opportunity to help with an important initiative this winter. The Milton Public Schools and Milton Substance Abuse Prevention Coalition are seeking a professional with public relations skills to help us implement a parent campaign to reduce underage drinking. If you are an experienced P.R. professional, and willing to help promote this campaign, please email Laurie Stillman. 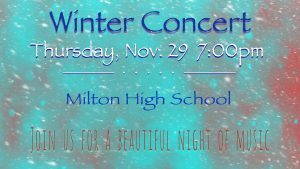 Milton High School’s Winter Concert is TONIGHT Thursday 11/29 at 7pm at MHS. Admission is free to the public. The evening of music features the Milton High School Mixed Chorus; Milton High School String Orchestra; Milton High School Concert Band; Milton High School Select Chorus and the Milton High School Jazz Ensemble. Come enjoy a night of music that’s guaranteed to warm you inside and out! On Saturday, November 17th, Milton High School hosted auditions for the Eastern District Senior Festival. 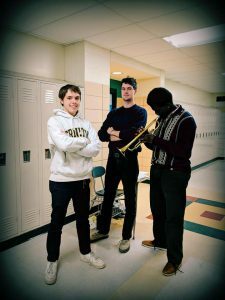 A team of MHS faculty, staff, parents and students facilitated the audition of over 1,000 student musicians for selection to this year’s Senior Festival Concert Band, Jazz Band, Mixed Chorus, and Orchestra. 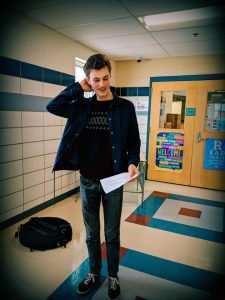 Several Milton High musicians auditioned for the festival, as well, and the following students were accepted to perform: Jada Farrar – Chorus, Alto and Luke Palmer – Chorus, Bass. 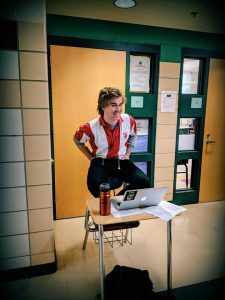 The following students were accepted to the festival as well as earned qualifying scores to audition for the All State Festival taking place in March: Annabel Botsford – Chorus, Alto; Paula Hogan – Chorus, Soprano; Penelope Holland – Chorus, Soprano; Esme Link – Concert Band, French Horn; Lemuel Marc – Orchestra, Trumpet; Coleman Rose – Concert Band, Tenor Saxophone; Brendan Scott – Jazz Band, Bass Trombone; Caleb Smith – Concert Band, Alto Saxophone. 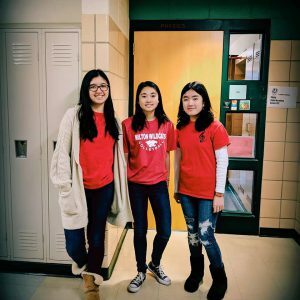 The junior and senior festivals are sponsored by the Massachusetts Music Educators Association, and serve to enhance school music programs by offering students additional opportunities to perform challenging literature with guest conductors. 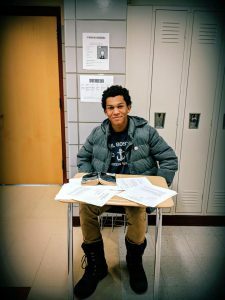 This year’s senior festival will take place on January 4th and 5th at the Boston Latin School. Congratulations to these outstanding musicians on a remarkable accomplishment, and many thanks to the incredible students who made the day run smoothly, to the parent members of FAME who provided concession items and services, and to the dedicated Music Department Faculty who organized and managed the event! 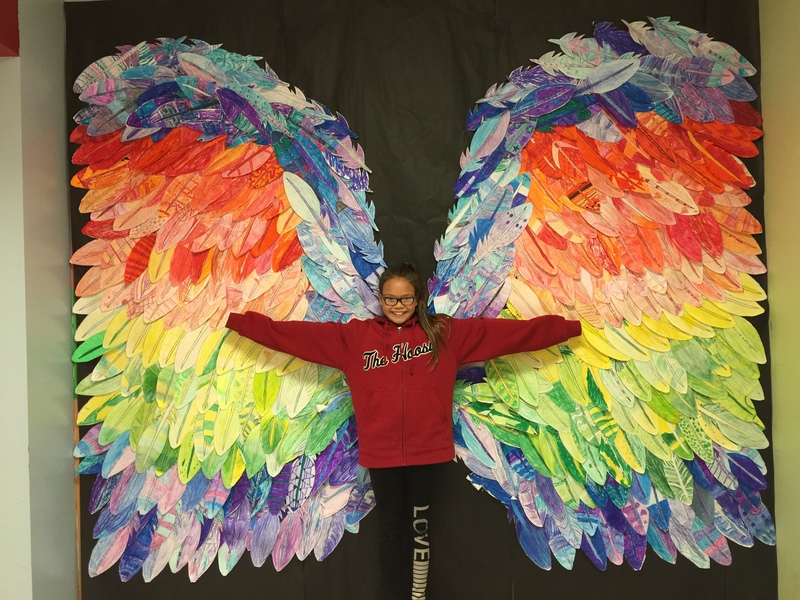 Students in After School Enrichment used their creativity to show how thankful they are for their community. 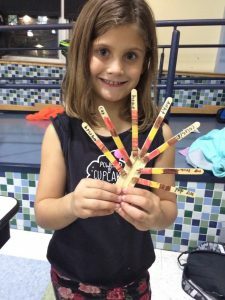 ASE Collicot students made popsicle sticks Turkeys and experimented with pumpkin volcanoes! Tucker students baked and decorated cookies and wrote thank you letters to firefighters. 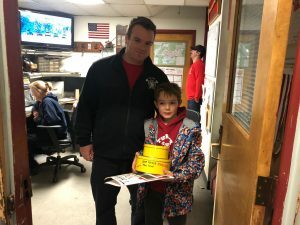 Thank you to 4th grader Colin Speck for bringing the delicious cookies to our brave Milton firefighters. 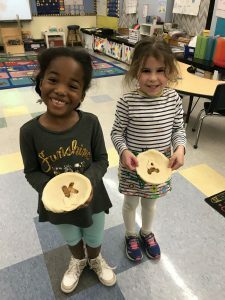 ASE Tucker Pre-K students focused the month of November on the Fall season, Friendship & Feast. 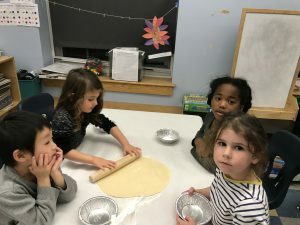 Students celebrated with their friends and made a delicious apple pie. 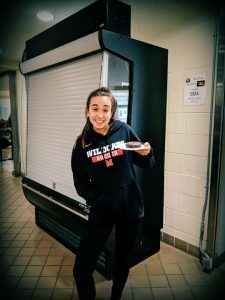 Noel R. Vigue, MPS Director of Health and Physical Education shares the following resource about speaking with your children about vaping. It contains valuable information as we navigate this relatively new challenge our children face. Head Nurse Margaret Gibbons shares the following: The school district has been informed by the Milton Board of Health that there are three confirmed cases of “pertussis” in our middle and high school, none at the elementary level. However, because pertussis is a highly communicable disease that is spread through the air when an infected person sneezes, talks or coughs want to keep all our parents/guardians aware with accurate information on this illness. Pertussis (whooping cough) is caused by bacteria. Although adolescents and adults may have a mild cough illness with pertussis, the disease can cause serious problems in young children or infants. Pertussis usually begins with cold-like symptoms including a runny nose, sneezing and dry cough. The cough lasts for a week or two and then slowly gets worse. The next stage, which may last from four to six weeks, is marked by uncontrollable coughing spells often followed by vomiting. Vaccinated children and teens may have milder symptoms that look like bronchitis. The bacteria that cause pertussis live in the nose, mouth and throat and are sprayed into the air when an infected person sneezes, coughs or talks. The first symptoms usually appear 7-10 days after a person is exposed although sometimes people do not get sick for up to 21 days after their exposure. Although DtaP vaccine usually provides adequate protection against pertussis, the effects of the vaccine can wear off over time leaving most teens and adults susceptible to the disease. Antibiotics are given to close contacts of confirmed cases to help prevent further illness. Parents/guardians should be aware and alert for a prolonged cough illness with your child and contact your health care provider in this instance. Your child may need to be tested and /or treated. School is not the only potential exposure. Sports teams, after school activities, mall shopping, public transportation, and even attending church services can expose all to contagious disease. This is a good time to remind your child about proper cough etiquette, hand washing and not sharing water bottles or drinks. If you have questions or concerns please contact your school nurse or health care provider. Think back ten years. Did you own a smartphone? Unlike today where 95% of all teens have a smartphone, in 2008 52% of teens had a basic cell phone (not a smartphone). Only 38% of teens had sent a text message to a friend and 88% of teens preferred using a landline to communicate with friends. Times have certainly changed! 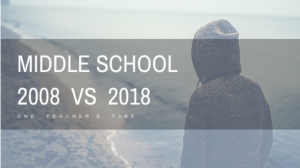 The article Middle School Misfortunes Then and Now, One Teacher’s Take by Benjamin Conlon brilliantly captures the role smartphones play in the lives of our students. 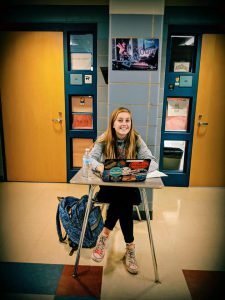 Whether you have a student in kindergarten or high school, please take a moment to read this piece to further understand the profound impact smartphones play in a student’s life. I promise that it is worth your time. Visit Santa Claus at the Eustis Estate this Saturday, December 1st from 12-2pm. Take a photo with Santa and see the 1878 mansion decorated for Christmas. Enjoy cookies and cider in our cozy kitchen. Before or after meeting Santa, join us for a drop-in craft workshop beginning at 10am. Historic New England educators will show you how to make your own wrapping paper and pop-up cards. 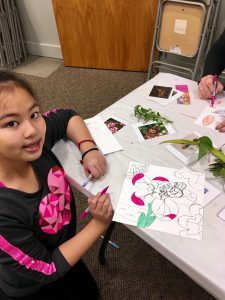 Craft activities are recommended for families with children ages 5 to 12. Enjoy some Christmas Cheers at the Eustis Estate on Sundays (December 2, 9, and 16) from 5:30 – 7:30pm. Enjoy a magical evening of music and holiday cheer at the Eustis Estate. Explore the 1878 mansion, which has been lavishly decorated for Christmas, while live holiday music fills the halls. Light refreshments, including wine and cider, will be served. All holiday events at the Eustis Estate can be found here. 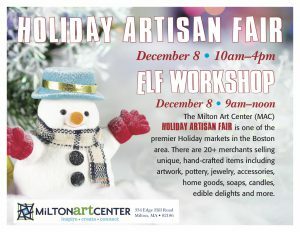 The Milton Art Center is holding an Elf Workshop! Join us for this great family event. On Friday, December 7th, Merry Historic Milton, co-sponsored with Fiduciary Trust, is an exclusive progressive tasting event through three historic mansions in town: the Forbes House, the Eustis Estate and the Wakefield Estate, with transportation provided between sites. Join your neighbors for a jolly evening of local sightseeing, live music, and festive food and drink. Last year, the event sold out! To learn more or to purchase tickets, visit our website. Sunday, December 9th is the “Home for the Holidays” Open House at the Forbes House from 1-4pm Take a break from shopping and enjoy some family time with carolers and a short melodeon concert (a melodeon is a 19th-century reed organ), reenactors sharing holiday traditions from the Civil War era, a make-your-own hot chocolate bar, and a special activity for kids focusing on one of the best parts of the season – gathering with loved ones. Admission is $5/person, $20 max/family, and FREE for members. 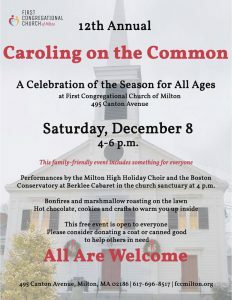 The Milton Historical Society is hosting its annual holiday open house on Sunday, Dec 9th from 1-3 pm at the Suffolk Resolves House, 1370 Canton Ave., Milton, MA. 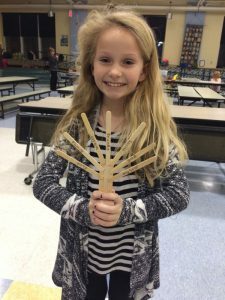 Emma Green will provide entertainment with seasonal musical selections. Light refreshments available. For more information about the Milton Historical Society, or to become a corporate sponsor or a member, please visit our website. The Rotary Club of Milton Announces the 2018 Memorial Tree Program. Donate a light for the Memorial Tree, which will be placed inside the Baron Hugo Gazebo on the Town Green. The Lights will be turned on and the names of all remembered will be read at the gazebo in front of the Town Hall at 7pm on Friday, December 7, 2018. Contributions will be used for community Rotary Club services, such as Student Foreign Exchanges, Servicemen’s Packages, Elimination of polio worldwide – “Polio Plus” and High School Scholarships. Victorian Christmas at the Eustis Estate runs on Thursday – Sunday from November 29th through January 6th. Explore the 1878 mansion while it’s lavishly decorated for Victorian Christmas, thanks to the help of local garden clubs. Visit during regular hours, between 10am. and 4pm. Regular admission prices apply. Plan your visit or call 617-994-6600. Good luck to all of our student athletes trying out for winter sports! 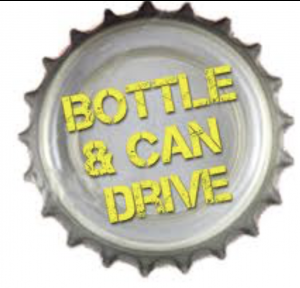 The MHS Girls Basketball team will be hosting a “Cans for Cats” can and bottle drive on Saturday, December 1st , 9 am – 12pm at Milton High School. SADD Advisor Karen Hughes and members Gwyneth Sauter and Grace Baker, pictured with Laurie Stillman, accept the award on behalf of SADD. 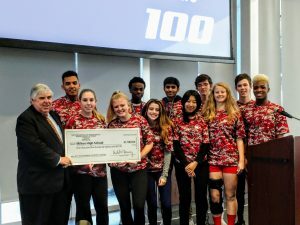 Students: Congratulations to this year’s Thanks for Giving celebration awardees, especially our very own Milton High School group Students Against Destructive Decisions (SADD). 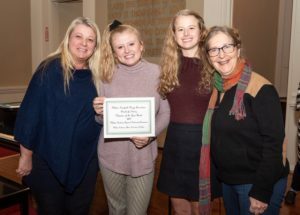 These deserving students were nominated by the Milton Substance Abuse Prevention Coalition and honored at the celebration hosted annually by the Milton Interfaith Clergy Association. Thank you to my blog contributors this week: Jon Redden, Holly Concannon, Karen Spaulding, Elaine McNeil- Girmai, Karen McDavitt, James Jette, AJ Melanson, Noel Vigue, Ryan Madden, Karen Cahill, Karen Hughes, Robin Lee, Dawn Sykes, Jackie Morgan, Laurie Dunn, Marti McKenna, Kerry O’Leary, Amy Zoll, Jake Smith, Laurie Stillman, and Jess Gillooly.